He Loves me Like That... In all our Picasso (Not) Glory! I was at a worship conference some days ago… the minister had just finished a powerful word session on worship, and we were singing in tongues, spontaneous worship was ongoing… that moment was so intense, the presence was so real, so tangible, so beautiful, and what a voice the minister had! I was on the floor, ugly crying and singing and I heard my voice and grimaced, and then at that moment, I believe God put this picture in my heart… that got me laughing in the midst of it all. 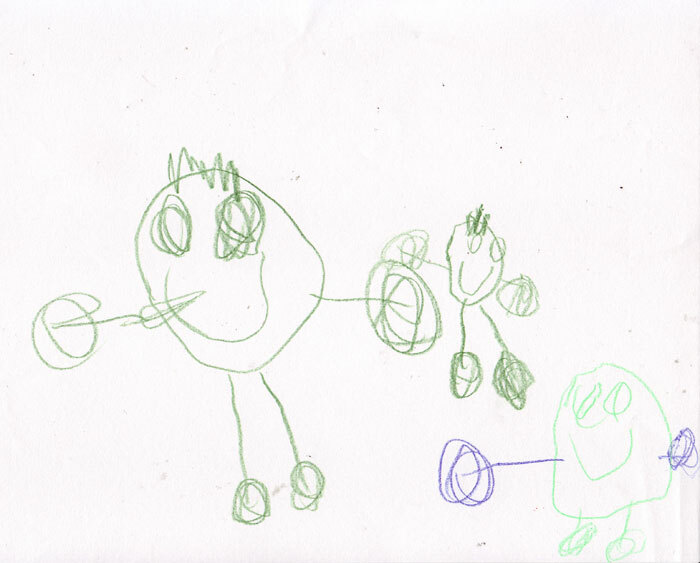 This is the picture I saw: you know how kids make drawings and we all gush over them with genuine love and appreciation and hang them up on the refrigerator? Well, we don’t care that those drawings are ugly when we do… because lets admit it… they really aren’t spectacular, even for a five year old. I’ve had those moments, where my nieces/cousins have made drawings for me that weren’t master pieces or beautiful in the sense of the word, but they were treasured, and I really meant it each time I told them how much I loved it and kissed the little Picasso's, and kept the drawings in special places… some of those art work were regularly stuck on my sisters refrigerator, in all their not masterpieces glory. Chuchu my seven year old cousin, recently showed me a painting she did, I was truly impressed, and this wasn’t the love covers all flaws kind of amazement, this was the wow, you really are artistic kind. I sincerely loved it, beyond the I’ll love anything you give me even when it isn’t near perfect… but my enthusiasm wasn’t any different from what I would express when the next one would bring me some senseless colored scribble painting that I would love just as much. That got me excited in worship and laughing to myself, there I was with my off tune song, and there the minister on stage was with his beautiful voice singing in tongues with a beautiful tune, and our Father hangs up our worship in love, side by side… looking beyond our talents. Its not my voice, its my desire to worship, my eagerness to minister to God… my response to His love for me, my love for Him…. That’s all He sees, not the notes I hit and the tune I miss, not the croakiness and my inability to reach!